FastLoad performs Inserts into empty Teradata tables in 64K blocks. MultiLoad loads to populated Teradata tables in 64K blocks. FastExport – Exports data off of Teradata at the 64K block level. BTEQ – The first Teradata query tool. It imports and exports data and should be used when < 500,000 rows. BTEQ is an excellent report writer. TPump loads into Empty or Populated Tables and is a lot like MultiLoad except TPump does all of the work at the row level and NOT the block level. It is called TPump because you can turn up or down the pump to increase or decrease the load quantities. 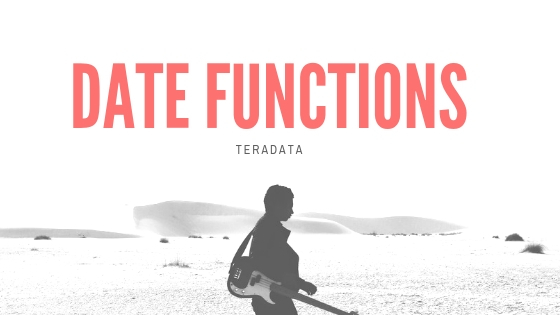 Teradata stores data in tables much like an Excel spreadsheet. Each row has many columns. The difference is how Teradata processes the data. The rows are not stored together like an Excel spreadsheet. Each row is physically separated from its neighbor and sent to a particular AMP. The AMPs then store and retrieve the rows they have been assigned when the Parsing Engine orders them to do so. The Parsing Engine puts the data rows together, and the user sees their spreadsheet once again.